New and fun Backyard Bird Feeder products and ideas are added all the time to our site. The Backyard Bird Feeders Blog is your easy way to keep up-to-date with any new pages; or when additions are made to old pages. To subscribe to my Backyard Bird Feeders blog (no e-mail necessary), right-click on the orange RSS button (see bottom buttons to the left) and then paste the URL into your RSS reader. My best garden sayings, garden quotes and flower garden quotes. Enjoy inspiring poems, verses, sayings and uplifting words from famous and not so famous people who love gardens as much as you do. 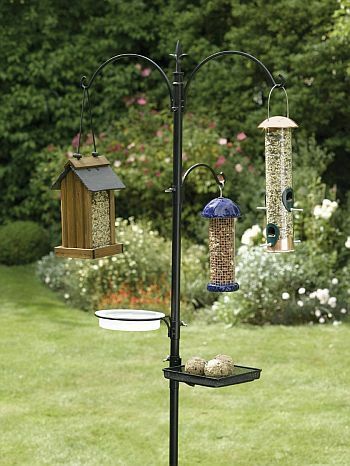 Try pole bird feeders to keep marauding squirrels, deer and other wildlife from stealing your garden bird food. My choice of best bird feeder poles and accessories. 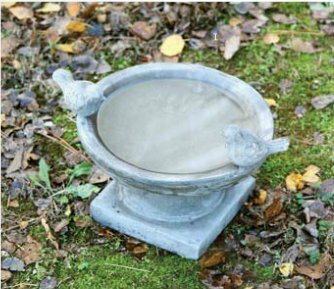 Continue reading "Pole Bird Feeders"
Choose a cement bird bath for your garden, concrete bird baths and more unique baths. Brighten a corner with a ground bird bath to catch the sunshine. 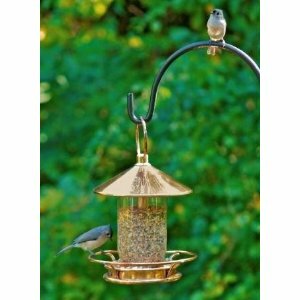 Continue reading "Cement Bird Bath"
Our choice of metal bird feeders, unique bird feeders and other best backyard bird feeders for you and your wild garden birds. Share your tips, tales and photos. Continue reading "Metal Bird Feeders"